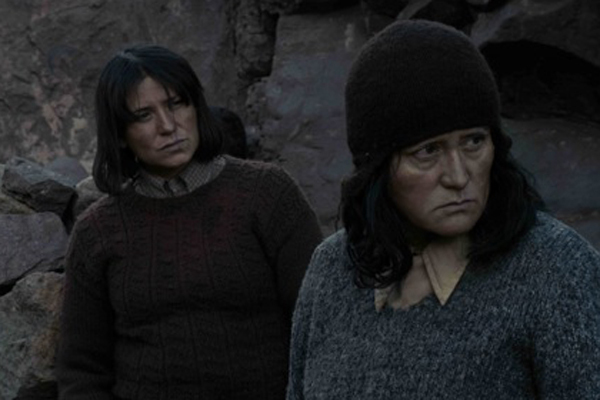 The film The Quispe Girls (2013) opens on a barren, windswept field in northern Chile. Soon, a human voice calls “Come on, come on!, and a herd of goats and sheep streams forward, filling the space with life. The animals belong to three adult sisters who have made their home in a nearby cave. It is 1974, the year following the start of Augusto Pinochet’s military dictatorship, and like many rural Chileans, the women have been pushed far towards society’s margins in its wake. The eldest sister, Justa (played by Digna Quispe), insists that they are best off staying isolated where they are for as long as they can to avoid soldiers; the youngest, Luciana (Francisca Gavilán), clamors to look for people and rejoin society; and the middle child, Lucia (Catalina Saavedra), hovers uncertainly in between. 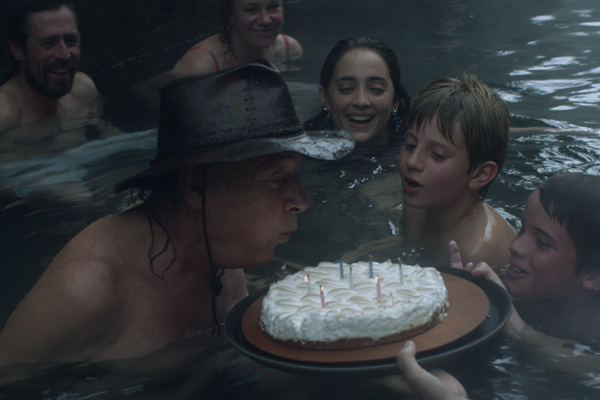 Sebastián Sepúlveda’s debut feature is one of three South American films screening at the Museum of the Moving Image as part of its international film festival First Look, with all three films receiving their U.S. premieres. The Quispe Girls presents the sisters’ situation and dynamic clearly in order for the viewer to consider it at length. We learn early on that there once was a fourth and senior sister named Maria, who died some time before the story’s beginning and whose absence works to leave all of them all feeling unmoored. This is especially true of Justa, who hides her fears and doubts behind a stone mask of authority while her group’s resources dwindle. Her younger sisters go from openly wondering who will buy their cheese to learning (during a brief visit from an older man selling clothes) that the government has passed a law to slaughter goats in order to protect its fences. By demanding resources for itself, the country’s leadership is threatening to leave people like the sisters without any. Throughout The Quispe Girls runs the feeling of a rope tightening around them. Yet while a sense of inevitable death looms in the film, so does one of life continuing. Sepúlveda has adapted his movie both from Las Brutas, a 1980 play by Juan Radrigán, and from the true story on which it was based. The carefully rendered areas of the Chilean Altiplano in which the action unfolds, including the cave and its surroundings, are where the Quispe sisters actually lived during their last days; the compelling, mysterious performer playing Justa is not just a present-day native of the place, but also the Quispe sisters’ niece in real life and the last person to see them alive. The other two actresses are Chilean movie stars. The tension between Digna Quispe’s flat stoniness and their actorly emoting helps create a kind of theatrical realism, in which artifice is highlighted in order to call attention to things that an artist can catch but cannot stage: Bursts of sunlight piercing shadows to reach a person’s face; the sound of wind softly blowing through grass as someone strides from one part of a plain to another; the absorption of Nature’s details as one prepares to bid them goodbye. Part of Sepúlveda’s reworking of Radrigán’s claustrophobic, argument-heavy play has involved moving much of the tale’s action outdoors and replacing dialogue with moments of silence. The result turns verbal poetry into visual poetry, though perhaps to a similar end. While the film presents death as an escape from life, it does not make choosing death out to be cowardly. If the modern world abandons these girls, then they will join their older sister. The other Chilean film screening in First Look points to how the Pinochet regime’s efforts to move Chile forward impacted indigenous peoples as well as farmers and herders. Efforts by democratic leaders’ efforts to repatriate native land in the 1960s and 1970s were reversed during the dictatorship, with the land privatized for businesses such as timber companies. Even after democracy was restored to Chile in 1990, struggles between the government and local elites on one side and the Mapuche (an ethnicity encompassing about 80 percent of Chile’s indigenous peoples and nearly a tenth of the general population) on the other side have continued. In recent years, legislation has been passed in Chile protecting the rights of native cultures; industrialization has also led to forced relocations, and Mapuche activism has been regulated with antiterrorism laws. The Summer of Flying Fish (2013) tells this ongoing story, essentially from the point of view of the conquerors. Its main character is Manena (Francisca Walker), a wealthy teenage girl from Santiago. She has moved with her family to a forest area in the South of Chile near Patagonia, where her landowner father, Pancho (Gregory Cohen), is steadily claiming the area’s resources with local help. His employees include Pedro (Roberto Cayuqueo), a shy Mapuche boy who gradually exposes his love for rock music to Manena, and in whom Manena’s interest steadily grows. 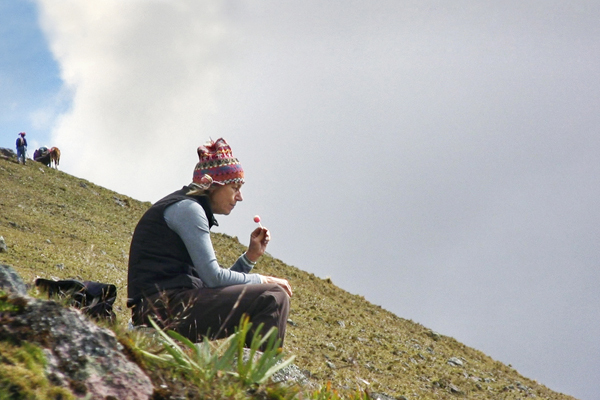 Filmmaker Marcela Said, creating her first fiction film following four documentaries, has chosen to tell Summer largely from Manena’s point of view. This choice lends the film a strong documentary element, with the viewer absorbing and discovering landscapes of the Aruacanía and Los Rios regions at the same time as Manena does; it also simultaneously gives the work a quality of dramatic irony, with much of the story’s action hovering just beyond what Manena can see. Meanwhile, violence breaks out around the edges of the frame. One of the film’s first scenes shows Manena in a car with her family members, witnessing police cordoning off an area for reasons that her father races past too quickly for her to discern. The reasons are hinted at in Pancho’s subsequent ongoing quest to blow up the carp fish pervading the water around his new home, which risks driving himself and others around him deaf. His efforts (which Said and co-screenwriter Julio Rojas based on a true story) serve as a metaphor for local powers hurting themselves in the name of self-protection. They will gain resonance as he attempts to purge himself of native influences in the name of his family while driving its members away..
Pancho’s actions—increasingly violent, and increasingly met with native resistance—particularly impact the relationship between Pedro and Manena. In time, the girl becomes less willing to accept her patriarch’s gifts, and more sympathetic and open to new friends. The viewer, in sharing Manena’s position, sees life through the eyes of a naïve, privileged person growing aware of her privilege’s source. What she will ultimately do with this knowledge remains, at film’s end, unsaid. Looking for Adventure also critiques industrialization—specifically, the tourist industry. U.S.-born Kimi Takesue’s film, shot on a two-week trip to Peru with her mother, features a wide variety of foreign visitors, including Americans, Brazilians, and Japanese people, whose words tend to merge into a great babble. The tourists are presented across a series of tableaux involving visits to urban centers, historical sites, mountains, and large bodies of water, all led by colorfully costumed (and similarly babbling) local guides. The newcomers dive into pointing and asking questions about what they see, as well as into taking pictures and eating; at other points, they look bored or even asleep, as though waiting for someone to tell them when the next adventure should begin. The film’s title should therefore likely be seen as playfully ironic, especially when tourists photograph themselves in restaurant mirrors. Takesue includes herself within the joke. The fixed, distant setup of many of the shots is so formal as to announce the offscreen presence of the filmmaker (who will appear in person at the Moving Image screening). She is also a tourist, with the people in front of her serving as her guides, and her way of calling attention to herself behind her camera pokes fun at any tourist’s desire to go native. Takesue has previously employed this method of making a game between herself and the strangers she’s filming in several works, including her 2010 feature Where Are You Taking Me?, which began with a Rotterdam commission to make a work for a program of films about Africa. Takesue filmed several scenes taking place in Uganda across settings that included a weightlifting competition, a wedding party, a kickboxing class, and a Bruce Lee movie screening with an announcer’s running commentary. Whenever local people in the film stop to stare at her camera, let alone speak into it, Takesue appears at least as foreign to them as they might be to her. The foreigners, both onscreen and offscreen, form a collaboration that makes the film. It might initially seem perverse to call Where Are You Taking Me? both an American and a Ugandan movie, but if an American and Ugandans are shaping the film together, then why not? Similarly, Looking for Adventure is formally listed as a U.S./Peru co-production, a matter that goes beyond funding. While counting the film as one of First Look’s three South American works is admittedly meant as a small provocation, doing so points to a duality that the film itself raises. Looking for Adventure’s native Peruvians appear almost exclusively onscreen as guides, hosts, waiters serving native food, dance instructors leading native dances, and indigenous street vendors selling native clothes. All of them are, at some level, performing for her, and living to serve their country’s guests. The film presents not just Peru as the tourists see it, but also a Peruvian identity shaped in collaboration with tourists. The result is a place where tourism helps build daily life. Thanks to Bruno Bettati and to José Miguel Palacios for research help. Aaron Cutler works as a programming aide for the São Paulo International Film Festival and keeps a film criticism site, The Moviegoer.